Your chance to own one of the best lots in Paradise Valley! Located on the north side of Camelback mountain, this large lot (just under 3 acres) is located in prestigious Cameldale Properties and ready for the home of your dreams. 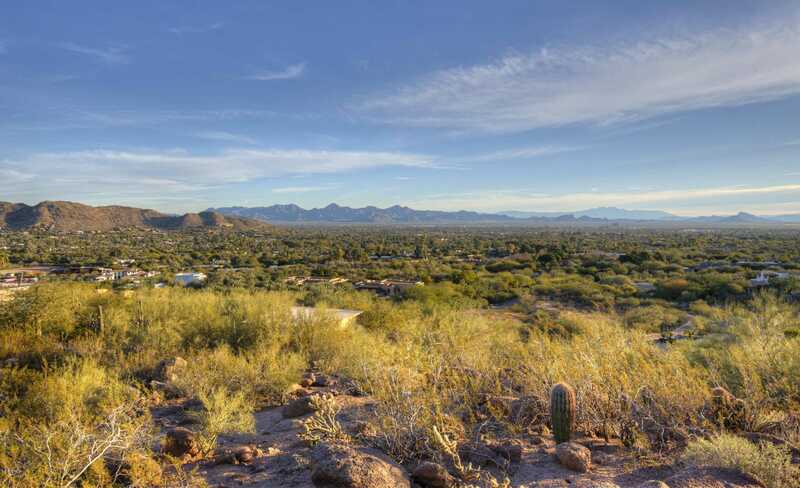 Expansive views of Mummy Mountain, McDowell Mountains and more. Tons of privacy in a prime location. Walking distance to the award winning Sanctuary Hotel & Spa. Home located on the front of the lot has been partially remodeled and is very livable. Great rental property. Home is 4,149 sq. Ft.